Parents of troubled teens have a variety of help options that are specially designed to assist their child. Troubled teens tend to become entrenched in their negative behaviors, making it very difficult for parents alone to get their child back on track. It is for this reason that programs for troubled teenagers are such an effective help option. These programs give troubled teenagers a positive environment to begin working on their issues or addictions. Liahona Academy is a residential treatment center for troubled boys. If you are would like more information regarding the programs for troubled teenagers, call Liahona Academy now at 1-800-675-8101. Troubled teenagers tend to surround themselves with negative peers making it extremely difficult to assist them locally. If you're the parent of a troubled teenager it is time to seek help especially if he or she is becoming increasingly out of control; negative behavior, drug use, or defiance. When looking into programs for troubled teenagers there are a variety of factors that parents need to consider. Firstly, while the goal of all programs for troubled teenagers is to help your child they do not all offer the same quality of care. Secondly, in order to ensure that your child receives the care they need you must match their needs to the services provided by prospective programs. Thirdly, some programs specialize in helping teens work through a specific issue while others are able to help teens with a variety of struggles. Lastly, parents should consider the success rates as well as the cost of enrollment. 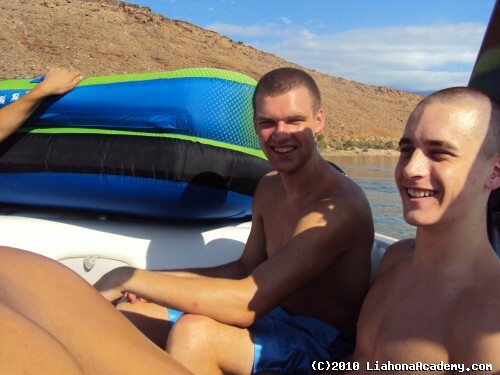 Liahona Academy is a proven help option for troubled boys that are dealing with a variety of issues. It is not an easy decision to send your child to an out of home long term treatment facility, however it can be the best choice for your child. If you are currently struggling with a troubled boy that is simply out of control, then Liahona Academy can help you now. Call the professionals of Liahona Academy for a free consultation at 1-800-675-8101.